We all like a good game, something to stimulate our brains whilst enjoying ourselves. Sometimes we get to a level where we want more; more out of a game, something with constant puzzles, something that never ends, with multiple outcomes, or something for money. That is where the world of trading comes in. 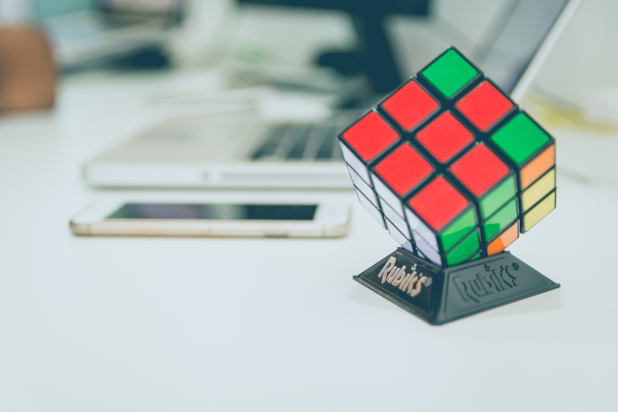 One of the most diverse and complex patterns in the market – Harmonic patterns, have been thriving for years thanks to the mathematical nature and accuracy with Rubik’s cube like strategies. Harmonic patterns contain Fibonacci relationships and rules, which the original mastermind had hypothesised back in the middle Ages. If you’re willing to play to gain/lose real money and want to get your brain stuck into a hard one, you should know more about harmonic patterns. Harmonic patterns are complex patterns in the Forex market. They construct geometric pattern structures on the chart and are Fibonacci related relationships. The patterns allow the trader to spot a number of opportunities in the market, whether it is trend reversal points, key turning or a movement in price. It’s all about searching and discovering, like a hidden gem game. The concept is based on the work of a 12th century mathematician, letting you know how complex it all is! It was then later recognised and established by H.M Gartley in 1932, and improved by Pesavento with Fibonacci ratios and rules to regulate. There are a number of authors who have expanded on the pattern theory, creating a whole family of harmonic patterns such as Crab, Bat, Gartley, Shark and more. The primary role behind the harmonic pattern is to understand the price and time movements which bond with the Fibonacci ratio relationships and its symmetry in the markets. The benefit of this is to identify retracements, extensions and key turning points. These factors give the trader an edge in the market as he or she has access to potentially highly trustworthy information. The trading rules are relatively consistent. Works with all time frames. They are reliable and produce high probable setups. They are leading indicators as they provide future price projections. They supply high probable setups. Requires a lot of knowledge to build Fibonacci clusters, and measure swing relations. Having the correct identification and coding of harmonic patterns is hard. Difficult to find the highest probability patterns. Can cause strain when opposing patterns form. Many patterns can morph into another pattern. The primary Harmonic patterns are always 5-point (Gartley, Crab, Bat, etc.). Identifying these can be tricky, but once the trader understands the pattern sequence, it can be spotted with the Fibonacci rules. These 5-point patterns all have embedded 3-point (ABC) or 4 points (ABCD) patterns. All of these points are interconnected in the price swings and have harmonic ratios. The similarities are uncanny to any other puzzle or mathematical game and quiz. Think of it as Sudoku in the real world. If you list your observations correctly, the move BC will be 0.618 retracement of the move AB. The move CD is 1.272 extension of the move BC and the length of AB is near or about equal to the length of CD. This is what qualifies as a bullish ABCD pattern which is always a strong buy signal. Thus, make sure to take your measurements correctly, because you could be onto a winner!